Startup Founders, it's time to change your relationship with changing your mind. Toward the end of Season 1 of HBO’s incredible Silicon Valley, there’s an amazing scene that this writer has legit watched on YouTube about a hundred times. The Pied Piper team is at TechCrunch Disrupt, coming off the high of unveiling their compression algorithm to a veritable whos-who of the tech world. Then, disaster strikes. Mega-corporation Hooli is there, and they’re presenting a technology that is identical to the product Pied Piper is building. Panic inevitably ensues among the Pied Piper ranks. Then, a notably manic Jared, fresh from the traumatic experience of being kidnapped by a self-driving car, has a brainwave. What Pied Piper needs to do, he thinks, is pivot. The scene is, of course, ridiculous. But like so much on that show, it wouldn’t be as funny if it weren’t for the underlying kernel of truth. What is a startup pivot? A pivot is essentially a shift in business strategy to test a new approach regarding a startup’s business model or product after receiving direct or indirect feedback, and it’s one of the fundamental concepts of lean startup methodology. Entrepreneurs that practice lean startup methodology are encouraged to question everything — from their initial idea, to their design choices, to any features they’re considering adding. In the lean process, entrepreneurs discover their minimal viable product (MVP), which is typically released to a select group of test customers to determine what improvements need to be made. While the MVP is often extremely minimalistic, the feedback from the initial group of test customers helps entrepreneurs learn what’s working, understand what isn’t, and figure out what direction they should go. The general idea is that startup founders should follow the model — dubbed the “build-measure-learn” — repeatedly, with the goal of turning that MVP into a sustainable business. Oftentimes, that feedback leads founders to pivot their startup from one idea, market, or niche to another in their quest for a great product. Pivoting really is such a ubiquitous part of the startup business experience, it’s basically a rite of passage for entrepreneurs. Virtually everyone who’s started a company has a story about the time that company became a different company. But the reality of pivoting looks and feels quite a bit different from the way it’s presented on the show. Here, Pinpoint Founder John Saddington and Printfection Founder Casey Schorr share their experiences with pivoting in business, and what it really feels like to change the direction of your company in a big way. The big question that’s always lurking around the subject of pivoting is: how do you know when it’s time to pivot your startup? Put those two big realizations together, and you get the decision that came next. “We realized we should pivot into the promotional marketing space, and apply our tech know-how to that problem,” Casey remembers. If customers were already using the platform for more B2B purposes, and the team was more passionate about B2B applications, pivoting was just the natural fit. Moral of the story: startup pivots don’t just happen out of the blue. If pivoting is the right move for your company, the signs will be there. The trick is recognizing them when you see them (more on that in a bit). 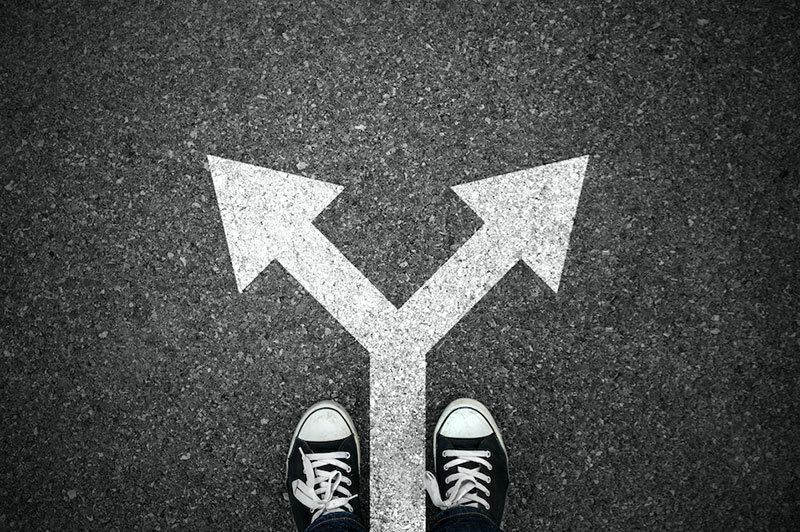 One of the biggest misconceptions about pivoting is that your company has to be failing before you can decide to go in a different direction. But for Casey and his team, that wasn’t the case at all. But if there’s one myth in the startup world that’s more damaging than any other, it’s that money alone is reason enough to keep building something. For Casey and the rest of the Printfection team, what it really came down to was the passion – or lack of it. In fact, veteran entrepreneur Kevin Sandlin wrote a great article on his site about the impact that running a startup and the entrepreneur lifestyle can have on family life and how you almost need a certain level of freedom to succeed. All this being said, Casey and the Printfection team could have kept going with the B2C model. They could have coasted along, built a decent six-figure business, and then sold out when a bigger player in their space came along with an offer. In hindsight, Casey says, the problem with the early iteration of Printfection was they were following a blueprint of something that had already been built. “We were copying existing companies and trying to put a different ‘spin’ on it. It wasn’t authentic,” Casey says. Let’s say the decision isn’t as clear-cut as one opportunity that you’re super-passionate about vs. one that you’re not, or one opportunity that’s super-original vs. another that isn’t. How do know then whether to stick it out with your original idea, or pivot to something new? As John Saddington points out, sometimes you just don’t. When you’re a Founder, your company is like your baby. Like any parent, it’s natural that you have a hard time being objective about that baby’s future. Finding partners who want the best for you and your company, but are objective enough to tell you when you need to put your company on timeout or kick it to the curb is the best way to make sure your decision-making process isn’t clouded by too much emotion. One thing a lot of Founders struggle with when making the tough call to pivot: fear of being branded with that big, red “F” for failure. Society in general conditions us not to be a “quitter.” And within the startup community, that pressure to persevere gets ramped up to eleven. We’ve talked before about how the startup community needs to change its relationship with failure. As John Saddington points out, maybe it’s time to change our relationship with perseverance, too. Waking up day after day and grinding away at something that isn’t working isn’t perseverance – it’s insanity. The gift of letting go of this idea that you have to persevere no matter what: it gives you permission to make a different choice. “If I ever wake up and I feel different about the decision, or if the conversations that I’m with the people that I trust the most fundamentally change, then I know that I have to pivot,” John says. At the end of the day, the important thing to remember about pivoting is that change is just part of the startup process. The important thing: stay true to your gut, keep asking for feedback, and go after the thing that makes you excited to get to work every day. Everything else is just window dressing.